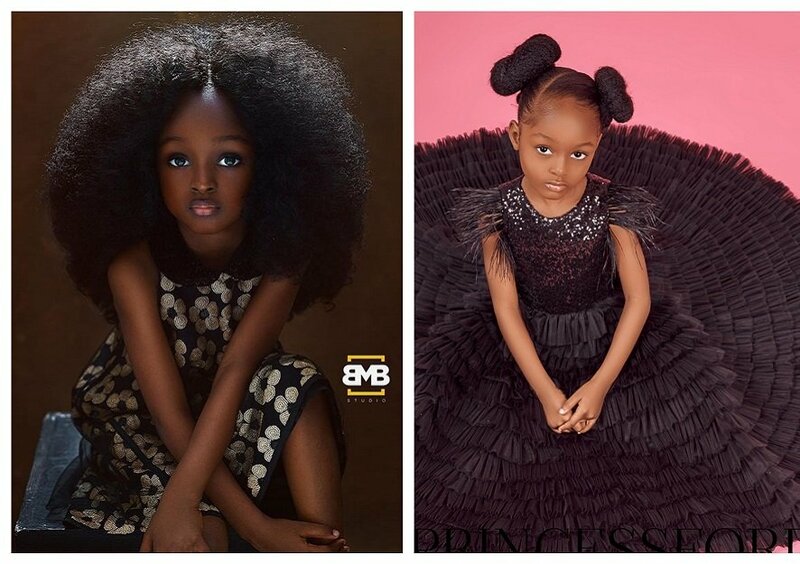 Five-year-old Jare Ijalana from Lagos, Nigeria who was extolled recently as “the most beautiful girl in the world” after photos of her hit the internet is on her way to stardom. The dark beauty, who became an internet sensation since she was first captured in 2018 by a Nigerian photographer, has now broken into the international modelling scene. 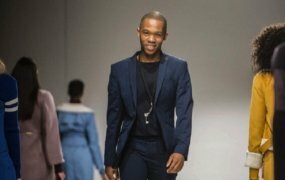 Described as “the new Barbie,” “absolutely stunning” and “doll-like”, Jare has recently been pictured with the international luxury brand, Princess Ford, a haute couture for kids. In a few photos shared on her Instagram page, Jare looked as innocent and stunning as ever in her luxurious clothes from the international brand. The photos also highlighted her astounding attributes – piercing bright eyes, smooth chocolate skin, and mature pose. Jare shot to fame in 2018 when her image went viral after it was shared on Instagram by Mofe Bamuyiwa, the Nigerian photographer. It gained 16,000 likes within a short time of it being posted and now has over 56,000 likes. The attention garnered by Jare inspired her mother to create an Instagram page named “The J3 Sisters.” Jare’s two sisters have since been praised as well for their prominent features. “All I want is for everyone to see Jare’s powerful potential. … I want the photo to speak to her when she has reached her adulthood,” Bamuyiwa said in 2018. Since her photos were first captured, international photographers have been making attempts to grab the opportunity to capture the dark beauty, according to Nigerian media. Her photos from Princess Ford have received commendation from people who believe that the young beauty would have a fantastic career in the fashion and beauty industry.